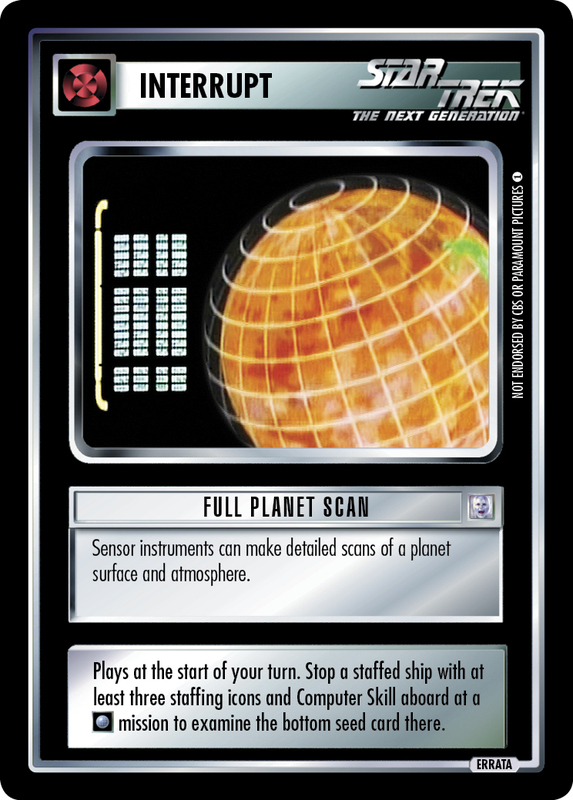 Sensor instruments can make detailed scans of a planet surface and atmosphere. Plays at the start of your turn. Stop a staffed ship with at least three staffing icons and Computer Skill aboard at a mission to examine the bottom seed card there. Image Source: The Next Generation: "The Bonding"